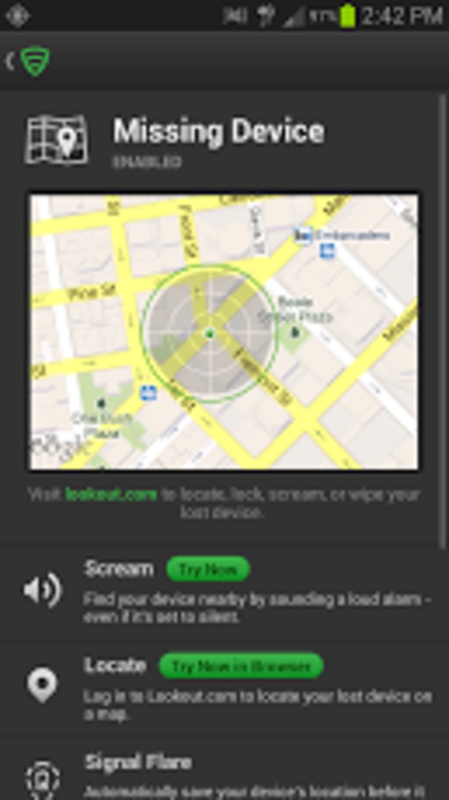 A free app for Android, by Lookout Mobile Security. Lookout Mobile Security is a full security and back up application that will protect your Android phone against virus and theft. Our mobile devices are more than just for making phone calls. Our digital lives and tons of personal information is stored on our phones. 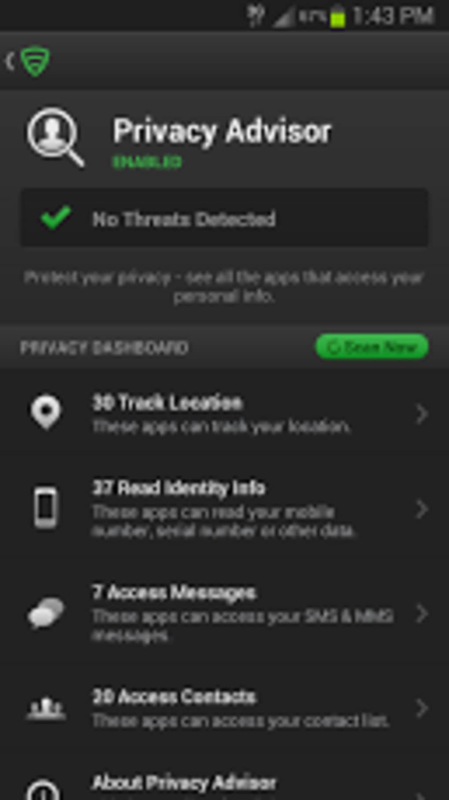 Lookout Mobile Security aims to secure your phone against viruses and theft. Lookout Mobile Security comes with a robust antivirus scanning engine. 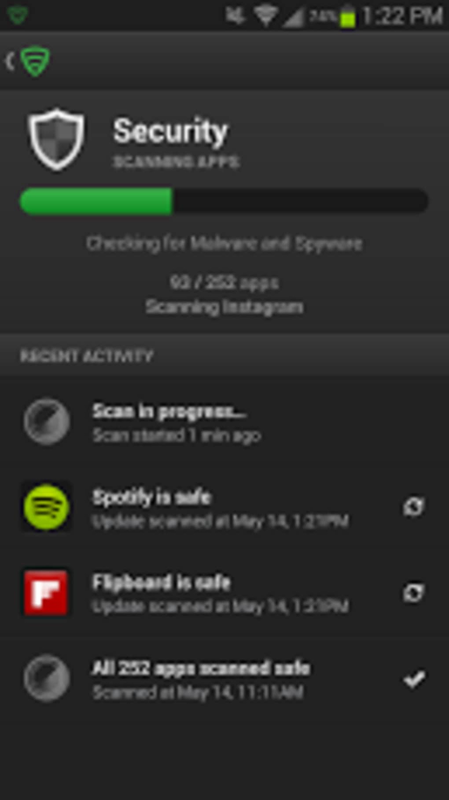 Every application you install, even from the Play Store, will be scanned for potential threats. While viruses are quite rare on mobile phones, it's nice to have peace of mind, especially if you install apps from unknown sources. Lookout Mobile Security lets users opt into giving information about the scans they do on their phone to add to their Mobile Threat Network, which helps detect any anomalies and quickly updates Lookout's virus database. 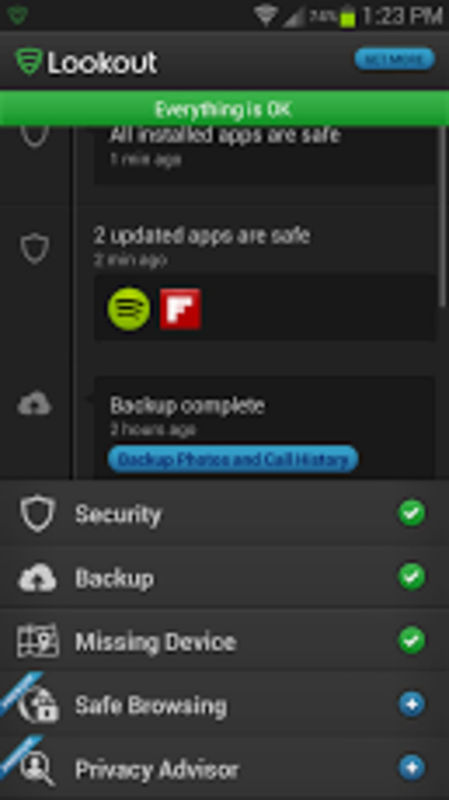 Lookout Mobile Security also features backup features. It will back up your call history, contacts, and photos to their servers. If your phone ever gets destroyed or is lost, you can get back your most important data with ease. You can trigger a restore from the Lookout website. 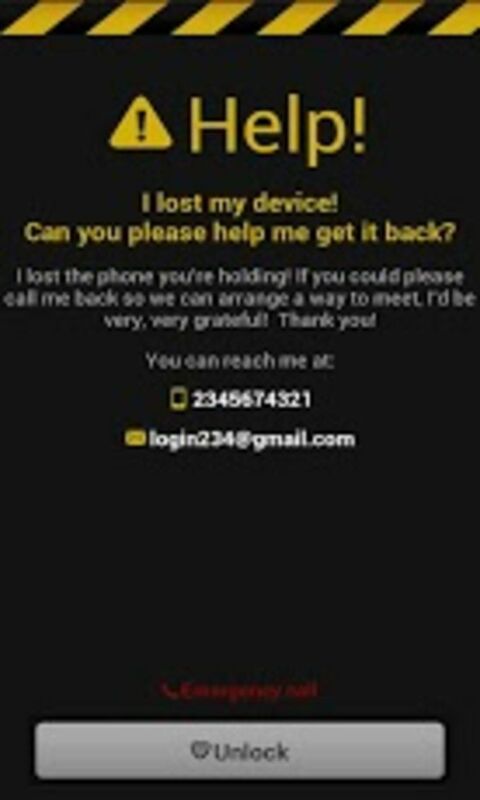 Speaking of the website, you can locate your lost or stolen phone from the Lookout Mobile Security website. This requires a yearly subscription, which also includes a security advisor and browsing protection. From the website, you can remotely lock or wipe your phone, send it a message, or make it "scream," which is a useful feature for when you forget to take your phone off silent and can't find it. If your phone's battery is running low, the new feature called 'Signal Flare,' can help blast off the coordinates of the phone before it dies. 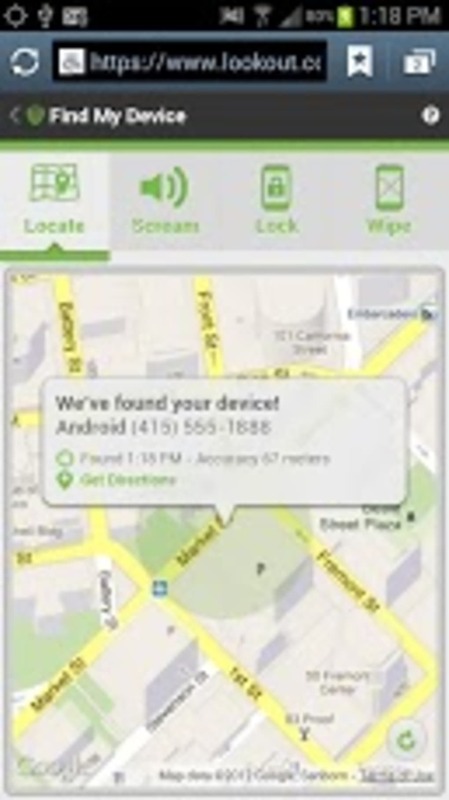 This is handy as Lookout Mobile Security will give you the last known position of your phone. Lookout Mobile Security also has a feature called Lock Cam, which will take a photo using your device's front facing camera if the lock screen password has been entered incorrectly 3 times. Users will receive an email with the photo and a map of where the phone is to help make retrieval easier. Lookout Mobile Security delivers a comprehensive package for protecting your phone against digital and physical threats.